Brandon received an honorable discharge from United States Navy in January 2015. While in training, Brandon graduated in the top of his Naval Aviation Technical School class and was certified as an Aviation Structural Mechanic. During his naval career, Brandon received meritorious promotions in recognition of his initiative and attention to detail. His last promotion to Collateral Duty Inspector gave him responsibility for verification of structural integrity and functional capabilities of aerodynamic components. Brandon transitioned from military inspections to home inspections immediately upon leaving the Navy, joining his step-father, Jeff Binsbacher, at R.Heyl & Associates. In January 2015, Brandon began his intensive six month training period under the supervision of Rick Heyl, Jeff Binsbacher and Ryan Heyl. During this training period, Brandon attended over 200 inspections with Rick, Jeff and Ryan. He passed the ASHI National Home Inspector Examination on his first sitting in 2015. 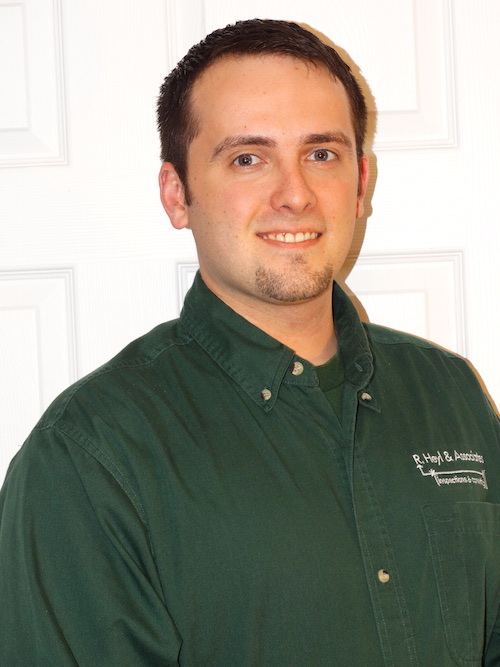 Subsequently, Brandon received his ACI designation (ASHI Certified Inspector) in 2016 after performing 250 ASHI verified solo home inspections.